Article written by Dagney C. Ernest, for Village Soup, January 16, 2019. “We teach because the future belongs to learners.” CLICK HERE to read Dagney’s article about Lindsay Pinchbeck and Argy Nestor’s trip to Helsinki and the connection between Maine, Malawi, and Helsinki. It’s official! Lisbon’s Moxie Festival Committee today issued a call for artwork. Each year, the Moxie Festival Committee selects artwork to be used for t-shirts, posters, and branded items. The selected artwork will be consistent with the fun 2019 theme of “Moxie Goes Artsy.” The Moxie Festival committee selected this theme to inspire a “distinctively different” visual representation of the Moxie spirit, which by dictionary definition means energy, pep, and courage. It’s also the official beverage of the state of Maine. The committee is seeking an artistic image as iconic as the beverage itself. The three-day festival, celebrated at the peak of summer with a parade, a 5k run, live music, and many other events, is a glorious homage to the distinctively different beverage, Moxie. The winning artwork will be reproduced on an exclusive and collectible T-shirt, posters, and other festival-branded items. In addition to seeing their artwork proudly displayed on thousands of T-shirts sold and worn during the Moxie Festival, this year the winner will receive a $750 cash prize, media recognition, the first 2019 printed T-shirt, and the opportunity to judge parade floats designed and inspired by the theme. The deadline for entries is Thursday, January 31, 2019 at 4:00 p.m. Winners will be selected by the Moxie Festival Committee. The winner will be announced on Thursday, February 14, 2019. Complete details and guidelines are currently both online at www.moxiefestival.com or at the MTM Community Center, 18 School Street, Lisbon Falls, Maine. The Moxie Festival, celebrating Maine’s official soft drink, is always the second weekend in July. Mark your calendars for the 2019 Moxie Festival, July 12 – 14, 2019. 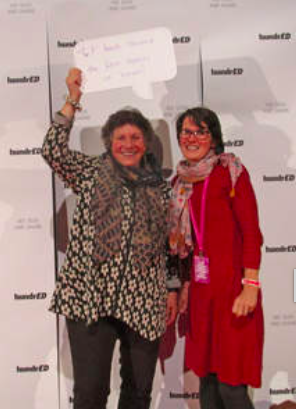 If you have questions please contact Julie-Ann Baumer at jbaumer@lisbonme.org. 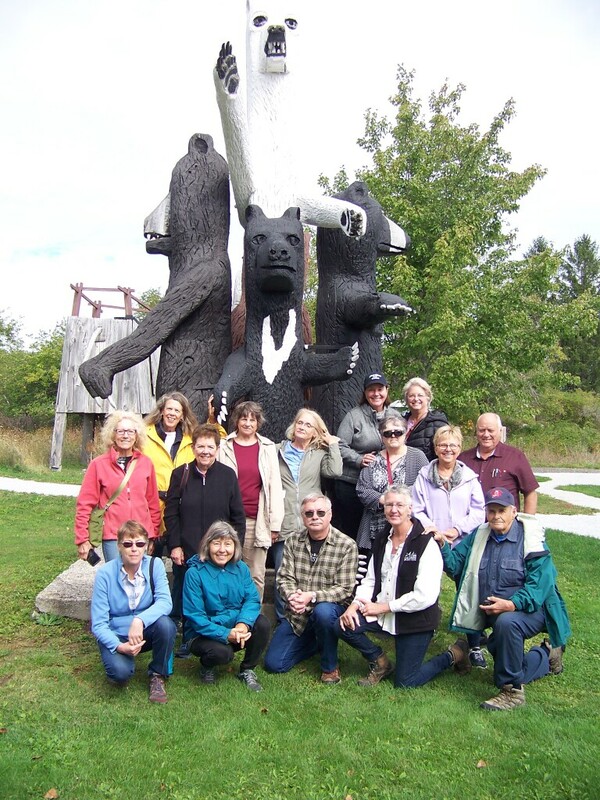 The MAEA Retired ART Teachers, along with some family and friends, enjoyed a morning at the Bernard Langlais Sculpture Preserve in Cushing on Friday, September 21. We were greeted by Annette Naegel, Director of Conservation for the Georges River Land Trust, that is in charge of the property and Cynthia, the Education coordinator, and Doug, Conservationist of the sculptures. Seventeen of us heard from each about how the Langlais sculptures came to be renovated with the aid of the Colby College and the Kohler Foundation, then turned over to the Georges River Land Trust as stewards of the works and property of 160 acres. We toured his studio, workshop, the barn, the education area and the house. It’s an amazing place, visited by many school groups. If any Art teachers are interested in visiting the preserve with students please contact Annette Naegel, annette@grlt.org, Georges River Land Trust, Director of Conservation, 207-594-5166. 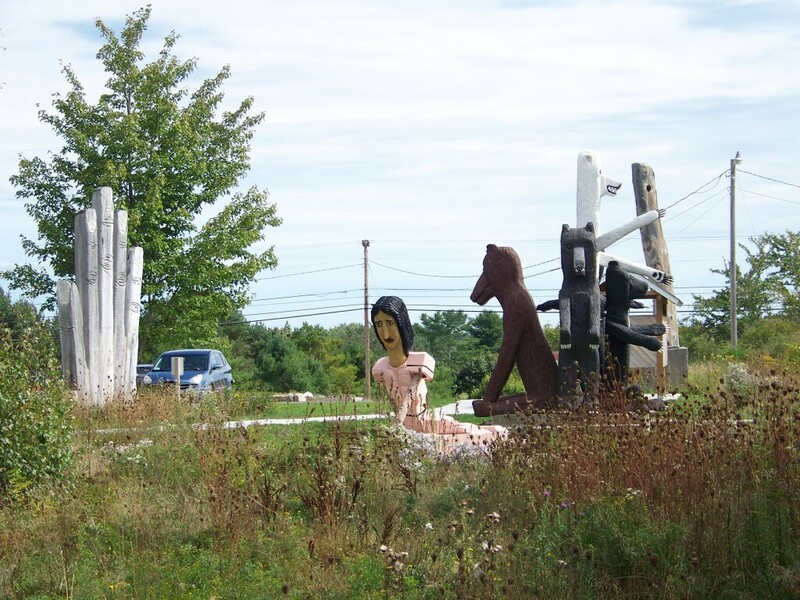 Ticket to Ride provides funds to travel to places like the Bernard Langlais Sculpture Preserve in Cushing. Please learn more about the Ticket to Ride program on the Maine Arts Commission website. Friends of Aomori – the non-profit organization that supports the Maine, USA-Aomori, Japan Sister State Relationship – is seeking a K-12 arts educator as a partner for an exhibition and teacher exchange with Japan. The Teacher delegate selected should have a specialty in printmaking and will travel to to Aomori, Japan for a week in November. The prefecture will pay airfare and Friends of Aomori is providing a $500 stipend and help with housing, etc. Preliminary deadline, August 26. PRELIMINARY APPLICATION! Raise funds to support the sister-state activities. The Teacher/delegate selected will participate in coordinating the 2019 Children’s Print Exchange between Maine and Aomori when they return. Friends of Aomori is an all-volunteer non-profit that supports the Sister State relationship between Maine and Aomori, Japan. The relationship between Maine and Aomori has been in place for 20 years, but the fascinating connection between the two states goes back to a shipwreck in 1889. Read more about the connection. The ideal candidate is a dedicated, active, certified K-12 art teacher with a focus in printmaking. The teacher will represent Friends of Aomori and the State of Maine in Japan from November 12th – 16th 2018 to observe art classes, printmaking workshops, and the Aomori Rotary Club as part of an ongoing children’s arts exchange between Maine and Aomori. 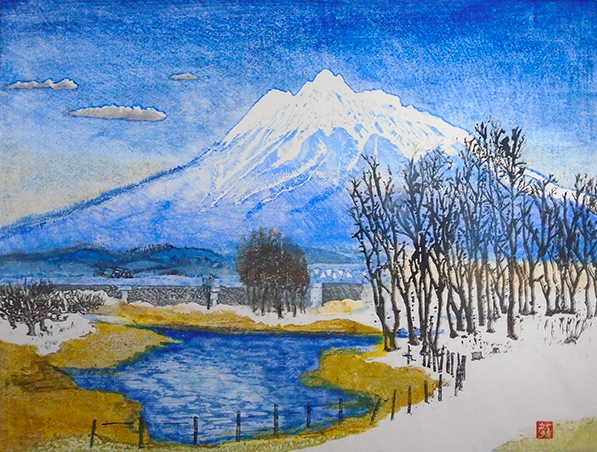 Upon returning to Maine, the teacher will partner with Friends of Aomori on the production of children’s prints to be exhibited in Japan in April 2019. The Friends send 10 prints by Maine printmakers to Japan for their civic festival every October and they send 10 prints to Maine by Aomori printmakers. These are exhibited around Maine in the spring and summer. (They have begun touring their collection around Aomori as well following the October event. )The exchange is entering year four. So there is a matched set of 20 prints in Maine and Aomori. This this year all 60 prints will hopefully be exhibited at Maine Orono. Thanks to Jeff Badger for making this happen. The work in the online exhibits have been inspired by Japan and made by Maine Artisans. The Aomori Print Gallery is located online in a David Clough gallery space. The Maine Artist Gallery is located online in a David Clough gallery space as well. Bob Keyes article in the Maine Sunday Telegram provides the latest news on Ashley Bryan. His show opened recently at the Portland Museum of Art and it is fantastic. At age 95 Ashley is working on a number of books and is planning on one being completed within the month. It is a book of collages based on Christina Rosetti’s poems. He’s also working on a larger project based on his time during WWII when he served in the segregated Army. Seventy four years ago he was at Omaha Beach. I was very excited to read that he is working with Maine composer Aaron Robinson who happens to be a former student of mine. They are collaborating on an African-American requiem for chamber orchestra, choir and spoken voice. Plan to take your students to the museum for the show and watch for information on the performance of one of Ashley’s books scheduled for the end of October. For over ten years, the Maine Department of Education (DOE) and the Maine Arts Commission have been fortunate to celebrate arts education by hosting rotating student art exhibits. During the past two years Beth Lambert from the Maine DOE and I have worked together on this collaboration which celebrates the excellence of students in visual and performing arts education in Maine. The rotating exhibits are displayed throughout the State House complex and in the Department of Education. Each exhibit features art work from three districts from three superintendent regions. Each district provides 21 pieces representing student art from grades PK-12. During the period students’ artwork is displayed, the artists and their families will be invited to the Hall of Flags in Augusta for a Celebration of Excellence in Visual and Performing Arts Education reception. Each student is recognized by the First Lady of Maine Ann LePage for their accomplishments. The reception will feature performances from the districts represented in the art show. Under the direction of music teacher Cynthia Streznewski, musicians from Woolwich Central School perform at the State House for the celebration on December 21. In order to have equitable representation we are seeking artwork from the superintendents regions of York, Mid-coast, Western Maine, and Aroostook. Please consider submitting your students’ artwork. 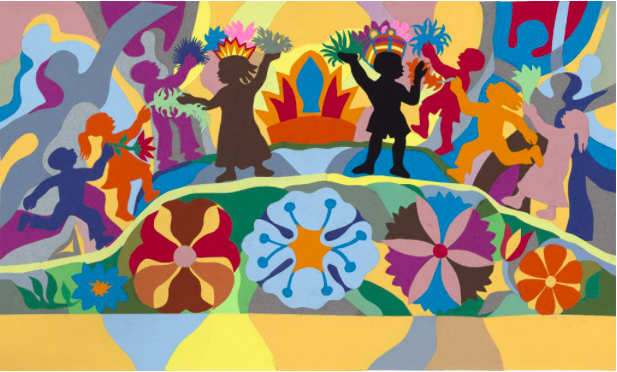 The exhibition guidelines are located at https://mainearts.maine.gov/CMSContent/arts_in_education/Excellence_VPA/2015-2016_EVPA_Artwork_Guidelines.pdf. If you are interested in displaying your student artwork, please contact Beth Lambert at 624-6642 or beth.lambert@maine.gov. One of three musical performances provided by PreK-grade 12 students at the recent Maine International Conference on the Arts was provided by students from Edward Little High School in Auburn under the direction of William Buzza. The conference provided by the Maine Arts Commission on October 6 and 7 had several pop-up performances throughout the conference. The band marched up the street next to the Franco Center in Lewiston where conference participants poured onto the sidewalk to watch and listen. Afterwards the musicians performed a couple more songs inside the center. Below are two video clips.